Eight engaging labradoodle puppies wake up to greet the day in April M. Cox's engaging picture book story of a special day when all the puppies expect to get a new home. They are fed, groomed, and play, but one little pup, smaller than his siblings, is rejected. As the rollicking rhyme follows the fun and games, young readers can't help but be concerned about one little outcast who falls off the puppy slide, is too small to play tag, and gets lost too easily. As the countdown begins, teaching numbers to young animal lovers, the last little puppy begins to wonder if getting a new home is something else he's going to miss out on. He's become lost (on Puppy Pickup Day, no less), but his friendly nature leads to help from unexpected places, and after his siblings are picked by new families, he discovers something important about courage and finding his place in the world even though he's a runt who can't do what his siblings enjoy. A variety of messages are wound into this fun-loving story of a little puppy's adventure: counting, colorful fun, lessons on friendship and helping, and embracing new experiences. Illustrator Len Smith's oversized, colorful panels are a huge draw to an equally-strong, uplifting story line that will delight young picture book readers and their read-aloud parents. He's a former Disney & Hanna-Barbara illustrator, and so his background is perfect for translating the story into large-sized, exceptionally colorful characters designed to provide eye-catching excitement and action to enhance the story's visual appeal. Each panel is packed with not just vivid colors and playful action, but emotion as the little puppy moves through his choices and considers his options. 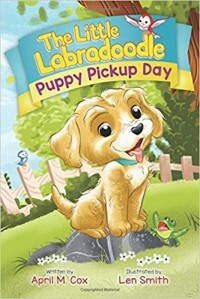 Not only the puppy's emotions are involved: readers will find their heartstrings similarly pulled as the story visually 'pops' with excitement.